DHA’s Compass Point Select team manages the Housing Choice Voucher (HCV) program (formerly referred to as the Section 8 program). The HCV program is a rental housing assistance solution that places housing choice in the hands of the individual or family. DHA pays a portion of the rent directly to a private landlord. Program participants pay the balance of the rent directly to the private landlord. Public housing authorities like DHA receive federal funds from the U.S. Department of Housing and Urban Development (HUD) to manage the voucher program. Please note, the HCV program is CLOSED to new applicants at this time. DHA will publicly announce its plans to accept applications during an open enrollment period. For information about when DHA will resume accepting applications for the HCV program, please check the NEWS + EVENTS section of our website for updates. Once the open enrollment period begins, interested persons may submit NEW applications online via the Applicant Portal link right below. If you have already submitted an application and want to check on your status, please scroll down this page to access the Client Portal. 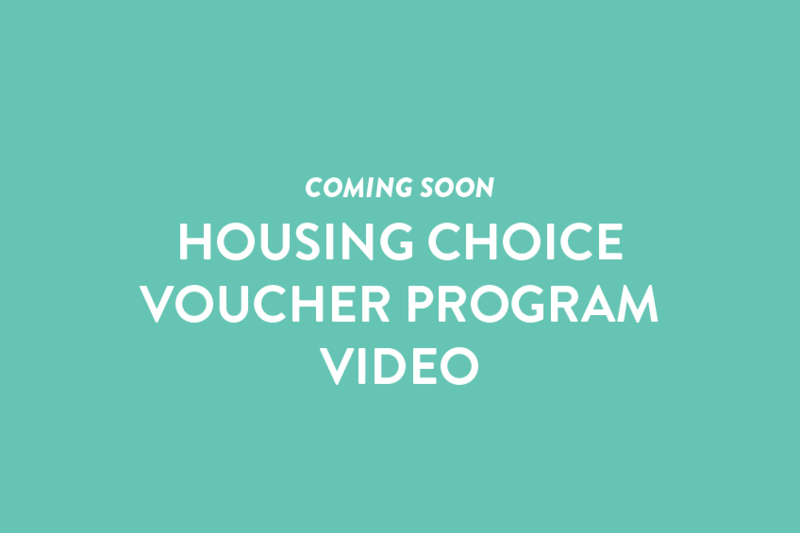 Want to learn more about how the Housing Choice Voucher process works? Applicants who are already on the waiting list can use the Applicant Portal to check the status of their preliminary application or update their application. The Client Portal is designed to help keep you informed about your voucher assistance status, rent payments and to update DHA of any changes in your situation. Here are some learning resources to help you understand and manage your account with the Housing Choice Voucher Program. You have 90 days to find a home after the issue date of your voucher to rent a home before it expires! You may request an extension if you are having challenges renting a place. We recommend submitting the extension request 30 days before the 90-day expiration date to allow for processing time. Voucher assistance is re-certified each year. Ninety days before your annual re-certification is due, you will receive a notice to begin the process. It’s important that you respond with all the requested information in a timely manner so that you don’t jeopardize your assistance. DHA rent payment standards are modified each year. You should stay informed regarding any changes to your rent through your DHA leasing professional and the Client Portal. It’s important to be a good tenant and neighbor. This reflects on you directly and may also affect the options that future Housing Choice Voucher clients will have to rent from the same landlord. Each month DHA clients are invited to the agency’s board meeting, hosted by our BOARD OF COMMISSIONERS. The schedule of meetings can be found on our NEWS + EVENTS page. HCV clients are obligated to promptly inform their assigned DHA leasing professional of updates that may impact their Housing Choice Voucher assistance including: if you plan to move, before you add or remove any household members and if your household income changes. It is a criminal offense to knowingly give false or incomplete information to DHA. Persons with a DHA voucher may lease a unit anywhere within the City of Dallas and the seven-county jurisdiction of DHA. The counties in DHA’s jurisdiction are: Dallas, Denton, Collin, Ellis, Kaufman, Rockwall and Tarrant. Applicants who have been receiving voucher assistance in DHA’s jurisdiction for 12 months or more and who are in good standing may be eligible to lease a unit outside of DHA’s jurisdiction. This is called ‘Portability’. If you intend to exercise your right to portability, please notify your DHA leasing professional for assistance. DHA clients have an option to participate in the Family Self-Sufficiency (FSS) Program, which is designed to assist families in becoming economically self-sufficient. With the support of community partners, the FSS Program provides individualized case management, education, job training and opportunities for home ownership for its participants. If you’re interested in this program, please contact your DHA leasing professional or visit the Client Portal to learn more about the FSS opportunity. Qualified DHA Housing Voucher program participants may convert their rental voucher to a Homeownership Housing Voucher. DHA has a home ownership program for Housing Choice Voucher clients that allows first-time homebuyers to use voucher assistance toward the purchase of a home. For this program, a ‘first-time homebuyer’ is defined as someone who has not had a mortgage within the last three years. If you are a Housing Choice Voucher client, a ‘first-time homebuyer’ and are able to qualify for a mortgage loan based on your household income, credit rating and debt, you may be eligible to participate in the Homeownership Housing Voucher program. For more information, please contact your DHA leasing professional or the Client Portal. The Housing Choice Voucher Administrative Plan establishes policies for functions and operations that are not governed by Federal regulations for the Housing Choice Voucher Program and other special programs administered by the Authority. The Administrative Plan covers both admission to and continued participation in the Housing Choice Voucher program. This packet details all of the Housing Quality Standards that landlords must abide by to ensure they meet the minimum criteria necessary for the health and safety of program participants. In addition, this may also assist you with locating a unit to rent that meets the requirements of DHA HQS standards. Documenting information is an important part of the process for providing you with housing assistance. We know it’s not an easy thing to keep track of and it isn’t fun, but having everything in order helps ensure you don’t have issues with securing and maintaining your housing assistance. Below are a few forms you should become familiar with. The Request for Tenancy Approval is a form that the voucher holder and the landlord need to complete. This form is typically completed when you have found a unit in which you would like to reside and where the landlord is willing to rent the unit to you with HCV assistance. After completion, the form must be returned to DHA as quickly as possible. Upon receipt, DHA will start the process of determining if the unit you selected qualifies for the program. The Utility Allowance Schedule provides an estimate of the cost of tenant paid utilities by bedroom size and unit type. The Utility Allowance schedule can be used with the Request for Tenancy Approval form to identify the estimate of tenant paid utilities at the selected dwelling unit. This schedule can be used to determine the estimate of tenant-paid utilities for a multifamily apartment, condominium or townhouse unit. The schedule can be used to determine the estimate of tenant-paid utilities for a single family or duplex unit. HCV Payment Standards are based on the HUD published Fair Market Rents (FMRs). Public Housing Agencies are permitted to establish payment standards between 90% and 110% of the HUD Fair Market Rents. The Payment Standard is one of several variables in the HUD formula for calculating the amount of the monthly housing assistance payment to the landlord and the tenant share of the rent. DHA’s payment standards vary by zip code and voucher size which typically corresponds to the number of bedrooms in the dwelling unit. Currently, DHA’s payment standards are at 110% of the HUD published Fair Market Rents. Typically, HUD updates the FMRs annually. Qualified Walker Voucher participants are responsible to identify rental housing in areas of high opportunity. Walker Voucher participants use a Payment Standard Schedule specifically for their type housing voucher which is set at 125% of the Fair Market Rents by zip code by voucher size. This schedule provides an overview of the amounts of rental assistance DHA is allowed to provide based on zip code and size of home for vouchers holders who plan to reside in Tarrant County. The Housing Choice Voucher program is the federal government’s major program for assisting very low-income families, the elderly, and the disabled to afford decent, safe, and sanitary housing in the private market. Since housing assistance is provided on behalf of the family or individual, participants can find their own housing, including single-family homes, townhouses and apartments. The participant is free to choose any housing that meets the requirements of the program and is not limited to units located in subsidized housing projects. The property owner must be willing to rent their unit to the participant and must be willing to accept their Housing Voucher. A family that is issued a housing voucher is responsible for finding a suitable housing unit of the family’s choice where the owner agrees to rent under the program. This unit may include the family’s present residence. Rental units must meet minimum standards of health and safety, as determined by the PHA inspection using HUD Housing Quality Standards. A housing subsidy is paid to the landlord directly by the PHA on behalf of the participating family. The family then pays the difference between the actual rent charged by the landlord and the amount subsidized by the program. Under certain circumstances, if authorized by the PHA, a family may use its voucher to purchase a home. Eligibility for a housing voucher is determined by the PHA based on the total annual gross income and family size and is limited to U.S. citizens and specified categories of non-citizens who have eligible immigration status. In general, the family’s income may not exceed 50 percent of the area median income for the county or metropolitan area in which the family chooses to live. By law, a PHA must provide 75 percent of its voucher to applicants whose incomes do not exceed 30 percent of the area median income. Median income levels are published by HUD and vary by location. The income limits for this area and various family sizes can be downloaded HERE. 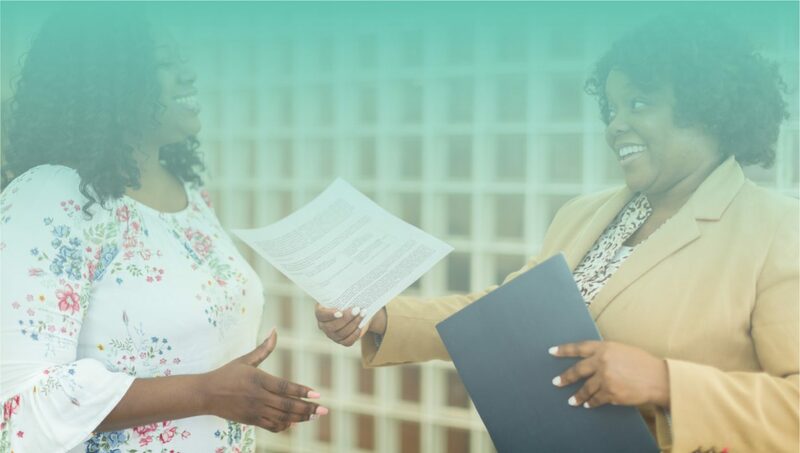 If you are interested in applying for a voucher with DHA, please visit the DHA APPLICANT PORTAL to submit a preliminary application or the Public Housing Authority in your area. HOW DOES DHA ADMINISTER ITS WAITING LIST? DHA has adopted new technology and processes that allow for continuous open enrollment so that more families will have the opportunity to apply for rental housing assistance. DHA will only accept applications online. To ensure the application process is accessible, equitable, and available to all, applications will be randomly selected from the waiting list. Time and date of application will not be used to establish an applicant’s position on the waiting list. Therefore; there is no advantage to apply early. Application status on the waiting list will be available online and applications will be retained for 18 months. Applicants without access to the internet are welcome to use computers at any branch of the Dallas Public Library or a kiosk at the DHA Services HQ office located at 2575 Lone Star Drive, Dallas, TX, 75212, or 3939 N Hampton Rd. Dallas, TX 75212 between the hours of 8:00 am to 5:00 pm Monday through Thursday and on Fridays from 8 am to noon. Applicants with physical disability needing assistance to apply may contact DHA during Open Enrollment at 214-640-5605. To apply, applicants must have an active email account. Applicants in need of an email address may register for a free email account through an internet provider of their choice. HOW DO LOCAL PREFERENCES WORK? Since the demand for housing assistance often exceeds the limited resources available to HUD and the local housing agencies, long waiting periods are common. In fact, a PHA may close its waiting list when it has more families on the list than can be assisted in the near future. PHAs may establish local preferences for selecting applicants from its waiting list. For example, PHAs may give a preference to a family that is (1) homeless or living in substandard housing, (2) paying more than 30 percent of its income for rent, or (3) involuntarily displaced. Families who qualify for any of the PHAs local preferences move ahead of other families on the list who do not qualify for any preference. Each PHA has the discretion to establish local preferences to reflect the housing needs and priorities of its particular community. The Housing Choice Voucher program places the choice of housing in the hands of the individual family. A very low-income family that is selected by the PHA to participate is encouraged to consider several housing choices to secure the best housing for the family needs. A housing voucher holder is advised of the unit size for which it is eligible based on family size and composition. The PHA determines a payment standard that is the amount generally needed to rent a moderately-priced dwelling unit in the local housing market and that is used to calculate the amount of housing assistance a family will receive. However, the payment standard does not limit and does not affect the amount of rent a landlord may charge or the family may pay. A family which receives a housing voucher can select a unit with a rent that is below or above the payment standard. The housing voucher family must pay 30 percent of its monthly adjusted gross income for rent and utilities, and if the unit rent is greater than the payment standard the family is required to pay the additional amount. By law, whenever a family moves to a new unit where the rent exceeds the payment standard, the family may not pay more than 40 percent of its adjusted monthly income for rent. HOW ARE RENT SUBSIDIES DETERMINED? The PHA calculates the maximum amount of housing assistance allowable. The maximum housing assistance is generally the lesser of the payment standard minus 30 percent of the family’s monthly adjusted income or the gross rent for the unit minus 30 percent of monthly adjusted income. Yes. Payment standards represent the maximum amount of subsidy DHA can provide a family participating in the HCV program. The payment standards are based on HUD Fair Market rents. In Dallas, payment standards are established by zip code and number of bedrooms per unit, which is also known as the ‘Small-area Fair Market Rents’ (SAFMR). CAN I MOVE AND CONTINUE TO RECEIVE ASSISTANCE? Yes. A family’s housing needs change over time with changes in family size, job locations, and for other reasons. The Housing Choice Voucher program provides the opportunity for participants to select rental housing outside the operating jurisdiction of the public housing agency that issued the housing choice voucher. DHA’s jurisdiction covers seven counties: Collin, Dallas, Denton, Ellis, Kaufman, Rockwall, and Tarrant. A participant with a Housing Voucher from DHA can reside in any of these seven counties with their DHA Housing Voucher. The Housing Choice Voucher program also provides DHA Housing Voucher participants the right to use their Housing Voucher outside of these seven counties in Texas or in other states within the contiguous United States. Families with a DHA Housing Voucher that would like to move to another jurisdiction exercising their right to portability may do so at the end of the term of their lease agreement, which generally coincides with their annual recertification. If you are a participant in the DHA Housing Choice Voucher program and you would like to relocate outside DHA’s seven-county jurisdiction, please notify your Leasing Professional at DHA during your annual recertification. More Information about the Portability Process: Typically, the Housing Choice Voucher program participant would notify the public housing agency that issued their housing voucher about their interest in relocating to another jurisdiction. The participant would also inform the public housing agency about the jurisdiction or location in which they would like to relocate. The issuing public housing agency would review the client’s records including their lease agreement and determine if and when they are available to move. While public housing agency procedures may vary, DHA would require the participant to issue written notice to DHA and to the landlord of their interest in relocating to another unit, and identify a proposed move-out date. Notice to DHA would also need to include the jurisdiction or area in which they plan to move to. DHA would transmit a HUD Portability form along with other required information to the receiving public housing agency initiating the process of transferring the client’s DHA housing choice voucher records to the public housing agency in the jurisdiction in which the participant intends to move. DHA would notify the participant about the transfer of records and provide the client with the public housing agency’s contact information. The receiving public housing agency would determine if they will administer DHA’s Housing Voucher or issue the client a housing voucher from their jurisdiction. The receiving public housing agency will communicate its decision to DHA and to the client. The receiving public housing agency will manage communications with the client and will process the unit selected by the client by performing the unit inspection and determine rent reasonableness after receiving the Request for Tenancy Approval form completed by the client and the prospective property owner or property manager. The receiving public housing agency is responsible for preparing the Housing Assistance Payments contract and for issuing the monthly rental housing assistance payments and managing the Housing Choice Voucher rental housing assistance for the client in the new jurisdiction. WHAT ARE THE ROLES AND RESPONSIBILITIES OF THE TENANT, LANDLORD, HOUSING AGENCY AND HUD IN THE HCV PROGRAM? After a PHA approves an eligible family’s housing unit, the family and the landlord sign a lease and, at the same time, the landlord and the PHA sign a housing assistance payments contract that runs for the same term as the lease. This means that everyone — tenant, landlord and PHA — has obligations and responsibilities under the voucher program. Tenant’s Obligations: When a family selects a housing unit, and the PHA approves the unit and lease, the family signs a lease with the landlord for at least one year. The tenant may be required to pay a security deposit to the landlord. After the first year the landlord may initiate a new lease or allow the family to remain in the unit on a month-to-month lease. When the family is settled in a new home, the family is expected to comply with the lease and the program requirements, pay its share of rent on time, maintain the unit in good condition, be a good neighbor and notify the PHA of any changes in income or family composition. Landlord’s Obligations: The role of the landlord in the voucher program is to provide decent, safe, and sanitary housing to a tenant at a reasonable rent. The dwelling unit must pass the program’s housing quality standards and be maintained up to those standards as long as the owner receives housing assistance payments. In addition, the landlord is expected to provide the services agreed to as part of the lease signed with the tenant and the contract signed with the PHA. The landlord is responsible for notifying DHA when the tenant vacates the unit. Housing Authority’s Obligations: The PHA that administers the voucher program provides a family with the housing assistance that enables the family to seek suitable housing and the PHA enters into a contract with the landlord to provide housing assistance payments on behalf of the family. If the landlord fails to meet the owner’s obligations under the lease, the PHA has the right and responsibility to terminate assistance payments. The PHA must reexamine the family’s income and composition at least annually and must inspect each unit at least bi-annually to ensure that it meets minimum housing quality standards. HUD’s Role: HUD is the governing agency that creates the policy and regulations for the HCV program. HUD also provides federal funds to allow PHAs to make housing assistance payments on behalf of the families. HUD also pays the PHA a fee for the costs of administering the program. HUD monitors PHA administration of the program to ensure program rules are properly followed. HOW CAN I APPLY FOR A HOUSING VOUCHER? If you need rental assistance, you can submit a preliminary application for a DHA voucher online during open enrollment on the APPLICANT PORTAL. HOW MUCH ASSISTANCE DOES THE HCV PROGRAM PROVIDE? The amount of financial assistance is dependent of numerous factors and will vary for each individual. The federal formula for determining the amount of the monthly Housing Assistance Payment is a standardized formula used for all participants however the results will vary due to the unique differences in household income and other factors. Factors involved in the determination of rental assistance include; annual household income, allowances, deductions, HUD Fair Market Rents, Payment Standards, Utility Allowance, and the Contract Rent. In general, Voucher participants pay 30 percent of their household income for rent. DHA pays the balance of the rent. In all instances DHA computes the Tenant Share of rent and the Housing Assistance Payment amounts and notifies both tenant and landlord of the amounts. WHAT IS THE TOTAL MONTHLY TENANT PAYMENT? The monthly tenant payment is generally 30 percent of the family’s adjusted monthly income. WHAT IF THE WAITING LIST IN MY AREA IS CLOSED? You can apply at another PHA. Because the Housing Choice Voucher program is a federal program, applicants may apply in any jurisdiction where a public housing agency is accepting applications. However, applicants who are selected from a waiting list are required to reside for at least one year in the jurisdiction of the agency that provides the housing voucher. IF I AM ON A WAIT LIST, HOW LONG DO I HAVE TO WAIT? The need for housing assistance far exceeds the available supply of funding required to support everyone in need of rental housing assistance. As a result, public housing agencies assist as many households as their allocation of funding can serve and maintains a waiting list for those it hopes to serve in the future. While the waiting time will vary with each agency rest assured the public housing agency will contact you as soon as possible. At DHA preliminary applications remain active/valid up to 18 months. DHA selects applicants from the waiting list by lottery. As a result, the status information applicants will obtain from DHA is if their position on the waiting list is active or inactive. If an applicant has not been selected from the waiting list for housing assistance within 18 months, they will need to reapply. If you are interested in applying for a Housing Choice Voucher or an affordable rental unit owned by DHA you can go to the Applicant Portal. If you have already applied you can use the APPLICANT PORTAL to check the status of your application. HOW CAN I FIND A PROPERTY THAT ACCEPTS VOUCHERS? There are several websites and apps that provide listings of rental vacancies such as Go Section 8 and others. Detailed information is provided to DHA Housing Choice Voucher clients during the orientation briefing on finding a rental home. IS THERE A TERM LIMIT TO VOUCHER ASSISTANCE? No. However, HCV program participants must complete a recertification annually to confirm they are eligible for continued rental housing assistance. HCV program participants are not required to reapply. While there is no formal end date to housing assistance nationally, participants remain on the program for an average of five years. WHAT IS A WALKER TARGETED AREA (WTA)? – there is no public housing. If you have a Walker Settlement Voucher, which is a special voucher issued by DHA, you must find housing in a Walker Targeted Area. Like regular DHA housing choice vouchers, Walker Settlement Vouchers may be used in Collin, Dallas, Denton, Ellis, Kaufman, Rockwall and Tarrant counties. CAN LANDLORDS REQUIRE MEAL PROGRAMS? I’M HAVING ISSUES WITH MY LANDLORD, WHAT DO I DO? Persons participating in the Housing Choice Voucher program can contact DHA representatives for guidance. Alternatively, other residents can contact the Apartment Association of Greater Dallas or Legal Aide of Northwest Texas for support and guidance. IS THERE A PROGRAM TO ASSIST FAMILIES WITH HOMEOWNERSHIP? Yes. Participants in the HCV program may have their rental assistance voucher converted into a Homeownership Voucher. Participants would need to have adequate income and credit rating to qualify for a mortgage from a private lender. The participant may be eligible for monthly financial assistance to be used to help pay the monthly mortgage. To learn more about this program, please visit the Homeownership page of our website. CAN A LANDLORD CHARGE A SECURITY DEPOSIT TO HOUSING CHOICE VOUCHER PARTICIPANTS? Yes, landlords may collect a security deposit that is customary, reasonable and comparable to security deposits collected for similar, unassisted units in the area. The Authority prohibits security deposits in excess of private market practice or in excess of amounts charged to unassisted tenants. For participants that use their voucher for the unit in which they have been residing and have paid the security deposit prior to move in, any additional amounts that the landlord seeks to charge for security deposit in this instance must be settled prior to the start of housing assistance. DOES DHA PROVIDE INFORMATION ABOUT THE LOCATION OF HOUSING UNITS THAT ARE ACCESSIBLE TO PERSONS WITH DISABILITIES? DHA strongly recommends voucher participants to utilize free resources that are readily available in the market place. Resources such as ApartmentFinder.com, Zillow, and many other provide a list of vacant available rental listings in real time. Additionally GoSection8 provides a list of rental units that may be available for rent to persons with a Housing Voucher. The information provided by GoSection8 also contains a list of accessible dwelling units. GoSection8 can be contacted at www.GoSection8.com or at 1-866-466-7328. If you are unable to access the GoSection8 web site or its data you may contact DHA for a list of accessible units known to DHA that may be available for rent. WHAT IS THE TERM OF THE HOUSING VOUCHER? The term of the voucher is the amount of time the voucher recipient has available to search for suitable rental housing. The initial voucher term is 90 calendar days (120 days for Walker Settlement Vouchers and VASH vouchers). The voucher recipient is responsible to select rental housing of their choice, complete a leasing packet, including the Request for Tenancy Approval form, and return the completed form(s) to DHA before the term of their voucher expires. CAN THE TERM OF MY HOUSING VOUCHER BE EXTENDED? Requests for an extension may be considered on a case-by-case basis due to documented, extenuating circumstances or as a reasonable accommodation for persons with a disability. A family seeking an extension of the voucher term must submit a request for reasonable accommodation, and the request must be made before the voucher expires. In addition, the Authority may extend the voucher when the rental market is tight (vacancy rates are low for housing in the Payment Standard range and few units are available).